Living in the South where it’s humid, I’m not always religious about using lotion because I don’t have to be. 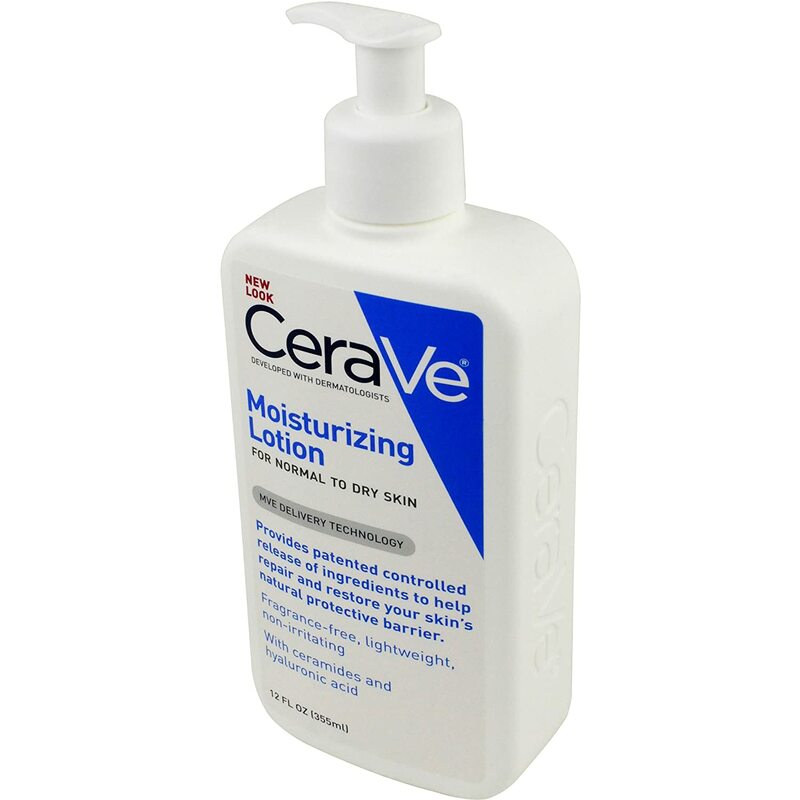 However, I’ve recently started using CeraVe Moisturizing Lotion to successfully treat various skin annoyances like KP and razor burn. Since I was young, I’ve had KP or Keratosis Pilaris aka small red bumps on the backs of my arms. (There’s a good chance you have this too – 50% of the population does!) There are a few things that have helped this a little bit, but the best tip I got was while I was at Miss USA. One of my favorite makeup artists/people, Danielle Doyle of The Perfect Face , told me that using CeraVe on my arms every single day would help alleviate the problem. For some reason, it’s taken me until now to follow her advice, but I have to say it has helped significantly, especially when combined with regular exfoliation and having some omegas in my diet. (I throw chia seeds in my smoothie to get a good dose.) CeraVe is also great for calming razor burn and for extra soft skin. I’ve read various reviews online and some suggest the CeraVe Moisturizing Cream for KP and still others like the CeraVe Renewing SA Lotion best. I’ve only tried the moisturizing lotion, but thus far I am incredibly happy with the results. Here’s to soft, smooth, beautiful summer skin! This entry was posted in Health and Beauty and tagged CeraVe, CeraVe Moisturizing Lotion, chia sees, Danielle Doyle, How to get rid of KP, KP, Miss USA, Smooth Skin, The Perfect Face on April 16, 2015 by Brenna. This entry was posted in Hipster/Beauty Queen Ramblings and tagged Beth Hood, Brenna Mader, Brian Balthazar, Emily Suttle, Hannah Faith Greene, JS Fields And Company, Kent Parham, Kiara Young, Kim Greenwood, Kristen Motil, Kristy Belcher, Kristy Belcher Photography, Kristy Landers Niedenfuer, Lauren Grissom, Miss Tennessee Teen USA, Miss Tennessee USA, Miss USA, Nichole Holmes, pageants, Steven Fields, Tucker Perry on October 7, 2014 by Brenna. A couple weeks ago I had the pleasure of being a guest on the Moll Anderson show. I’ve been a fan of Moll since I first moved to Nashville 7 years ago and she had a column in Nashville Lifestyles Magazine. Moll is girl-crush worthy – an all around power woman who is an Emmy Award winning tv/radio host, famed interior designer, author, and life-stylist. She asked me about some of my favorite topics – fitness and nutrition, pageants, body image, confidence, dating, and OBVIOUSLY Wanderlust and Glitter Dust! If you missed me live, you can check it out here! This entry was posted in Health and Beauty, Hipster/Beauty Queen Ramblings and tagged blogs, body image, Brenna Mader, confidence, Dating, Emmy Award, Fitness, Miss USA, Moll Anderson, Moll Anderson Show, Music, pageants, power woman, Travel, Wanderlust and Glitter Dust, weight loss on July 2, 2014 by Brenna. She’s not only my roommate and best friend, but someone who’s real passion for empowering women inspires me! The Women Can Talk Sports founder, Taryn, is a sports enthusiast who is passionate about bringing more women into the sports conversation. Being able to talk sports has had a direct influence on many personal and professional relationships throughout her life and now she is here to help us all! Chatting with the literal throngs of attendee’s at the app launch party! We couldn’t even fit all of the app launch party attendees into one photo! Part of the reason I don’t love sports is because I don’t understand many of them. (Although, not to braaaag, but I was a non starter on my 8th grade basketball’s B-Team…) The Women Can Talk Sports App and Blog are your one stop shop to learning everything you need to know to be able to talk – and enjoy sports! You too can have this cute logo on your phone! A few articles in the football section of the app. So head on over to the App Store and get your free download of the Women Can Talk Sports App today! (While you’re at it, you might as well like her Facebook page and follow her on Twitter and Instagram!) It has tons of cool features – like my favorite, a section where you can record your questions into your phone microphone and it sends it directly to Taryn who will answer you back! The home screen displaying a few of the many features the app has! So yeah… if you have any questions, send them to her. 🙂 Happy Thursday everyone! This entry was posted in Hipster/Beauty Queen Ramblings and tagged Anchor Down, Billy Starck, Brenna Mader, feminism, learn about basketball, learn about football, Miss America, Miss Mississippi, Miss Tennssee USA, Miss USA, NFL Combine, SEC Football, Selection Sunday, Taryn Foshee, Vanderbilt Football, Women Can Talk Sports, Women Can Talk Sports App, women's empowerment on March 20, 2014 by Brenna. Happy 1st Birthday Wanderlust and Glitter Dust! 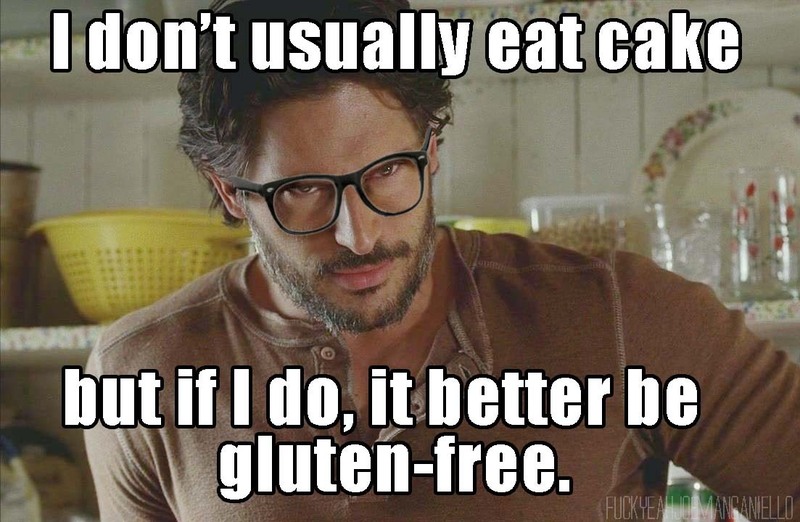 A hipster birthday card… to my site… ha! It’s pretty hard to believe that 1 year ago today was my very first post on Wanderlust and Glitter Dust! I can’t tell you how enriching and fun having this blog has been in so many ways! 141,679 page views (and trips to Chicago and Palm Beach that would have never happened if I weren’t writing this blog!) later, I’m going to celebrate with you by taking a walk down memory lane with my top 6 posts – some being the most popular posts and some of my personal favorites. 6.) I decided to incorporate a “spotlight” section on my blog when I met Alexa – a 29 year old newlywed and breast cancer survivor who’s love story and healing touched and inspired me on a deep level. Since then I’ve done two more spotlights: Jaclyn Schultz (Miss Michigan USA 2013) and her unique story about being born without a uterus and the brave advocacy she has done since. The most recent is the most incredibly touching love story I have ever heard about a husband who has gracefully and lovingly adapted to his wife becoming a paraplegic. Read about Layng and Linda here! Young and in love… and ridiculously good looking! 5.) 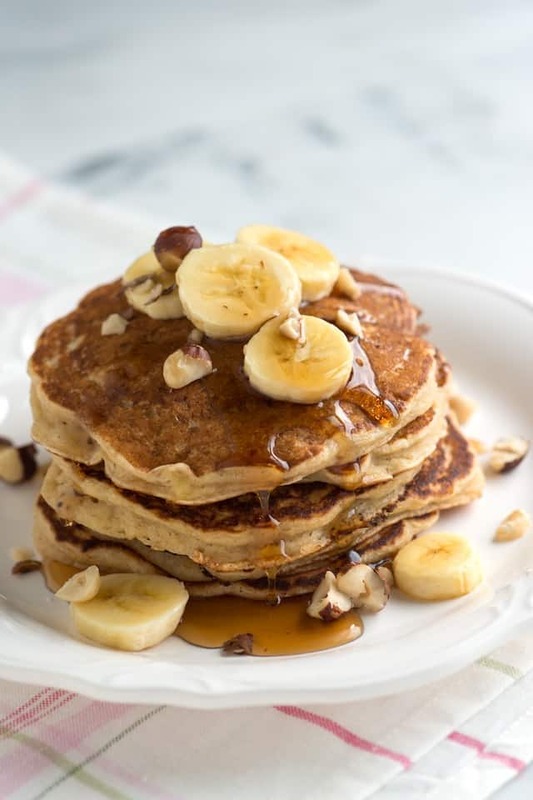 For some reason it is surprising to me that one of my most viewed posts is “Vegan Gluten Free Banana Pancakes.” Maybe my page comes up when people google Jack Johnson? I think Americans are catching on to the fact that healthy food can taste amazing – and these pancakes are still a breakfast staple for me. So delicious! Make ya some today! Yeah I didn’t take that, it’s a stock photo… but it sure is pretty! 4.) People on the internet want visuals. Lots of people checked out my gallery! Check it out if you haven’t already! 3.) Being at Miss USA in some ways felt like boarding school, so I felt it only appropriate to give out “Miss USA Superlatives.” Get to know some of the most amazing, ambitious, funny, and beautiful women I have ever had the privilege of knowing. It looks like all business… but it’s a whole lot of trouble. PS: I cropped Donald Trump out of this photo. 2.) Part of being Miss Tennessee USA was getting people to vote for you in an online contest. I was fortunate enough to have many friends and a few celebrities make videos on my behalf. The crowning achievement was getting a video from one of my favorite superstars Amy Grant! (I’ll forever be indebted to you Brooks Parker!) Check out her sweet video here! Perfection. Also – I recently ran across this quote: “Christian girls are freaks – you just have to marry them to find out!” -Vince Gill. hahahaha Good for you Amy (and Vince)! 1.) The number 1 most viewed post (6,518 views!) on my page is entitled, “What It Feels Like To Lose.” I wrote this extremely vulnerable and honest post the day after I returned home from the Miss USA pageant. In hindsight, I think this was accidentally the most therapeutic thing I could have done to heal my spirit, from what felt like at the time, the greatest loss ever. After publishing this post I received literally hundreds of texts, emails, phone calls, comments, messages, etc. from girls who have at one time or another felt the same way as well as from friends, family, and people I’d never even met before supporting me. This post taught me that vulnerability will help you connect with you audience in ways you never thought possible! To everyone who read and reached out – thanks a million, you’ll never know how much you helped put me back together! This entry was posted in Hipster/Beauty Queen Ramblings and tagged Amy Grant, Brenna Mader, first birthday, Miss USA, Miss USA Superlatives, one year anniversary, top posts, vegan gluten free banana pancakes, Vince Gill, Wanderlust and Glitter Dust on March 19, 2014 by Brenna.